I read an insane number of books in March. My original plan was to make it a slower reading month than February, but then a variety of things made it busier than usual. For one thing, between review copies and a few local book sales, we added a lot of picture books to our collection this month, and I read a lot of them with the kids as soon as they came into the house. I also participated in two picture book challenges on Instagram, one focused on the rainbow, and one where the goal was to read five picture books per day for a week. Though we read a lot of books we'd previously read (which I didn't count on Goodreads), we also read some books we owned but had never read before. So nearly half the books I read this month were picture books. The other major factor contributing to the huge number of books I read is that it was also #MiddleGradeMarch on Instagram. I originally set out to read just five books, but once I saw what other people were reading, I got inspired to read more and doubled that number. Additionally, I did some Lenten reading and finished two books for book club, and then finished out the month with a two-day read-a-thon (#8intwo). When I counted it all up, I had read 27 novels and nonfiction books. I really hope to have a much slower reading month in April, even if it is nice to be a bit ahead of the game on some of my goals. But here is my list of March reads, which I'll be linking up for It's Monday! What Are You Reading? 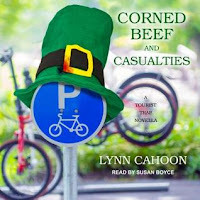 with The Book Date and Unleashing Readers/Teach Mentor Texts and for the March 2019 Monthly Wrap-Up Round-Up Link-Up at Feed Your Fiction Addiction. 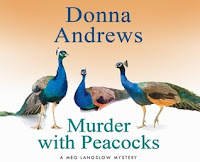 Wow, that was an intense reading month, but fortunately there seems to have been a number of 4 and 5 star books, so at least you found a few winners this month! Great variety of books. Come see my week here. Happy reading! Holy Carumba! What a profound list! Although Louise Erdrich is on my list, I still haven't read anything by her. We have the Life of Fred series up through 8th grade and I liked that it was so matter-of-fact and putting math into logical, real-life scenarios. It seems like this is lacking the mainstream math programs (and is probably why kids forget it so easily or don't know when/where to apply which math concept outside of math class). YES on double-speed audio (your link to another post). I do this all the time and have no problem keeping up--glad I'm not alone. I'm so glad you liked The Crossover -- I remember enjoying it a great deal. I really appreciated your review of Searching for and Maintaining Peace and I'm adding this to my list. Also hope to hunt down Dudley Pippin! My goodness, I love all your challenges. I hope to try a new one each year because it looks like fun! Have a great reading week, Katie! I loved Kevin Henkes other novel, so I need to get this new one. He always impresses me! Some of these cozies sound really interesting! I hope you have a wonderful April! Awesome mix of genres to read for March! 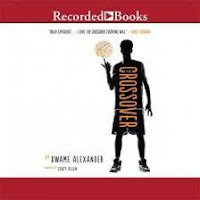 I read everything Kwame Alexander writes and buy every book in hardcover to treasure. I love novels in verse.